That ripple in the time-space continuum you’re feeling isn’t the result of two supernovas colliding in some far-off corner of the universe; it’s the collision of two legendary drum & bass acts here on Earth that’s no doubt causing a disturbance in the force. 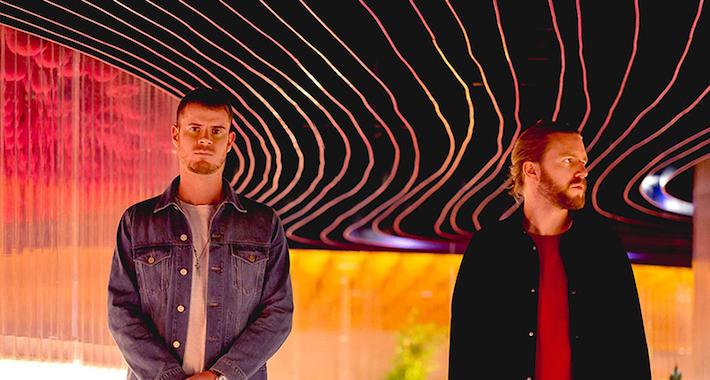 While both artists need no introduction, there’s no doubting that the past few years for both Wilkinson and Sub Focus have been epic in every sense of the word. From Wilkinson selling out Brixton Academy with his live show on the heels of his chart-topping Hypnotic LP, and Sub Focus’ own genre-bending forays with the likes of Rudimental, Alma, Chronixx, Stylo G, and more, the long-overdue collab between the two artists is the result of the stars aligning on a shared flight home from a New Year’s Eve gig in New Zealand. With both artists responsible for countless classic tunes, sold-out tours, and millions of records sold between them, “Take It Up” gathers the very best of each artist and serves as a kind of manifesto for where they’ve been and where they’re headed in the future. While at its core, ‘Take It Up’ is straight up festival fire designed to get the masses moving, it lives up to its name and serves as a call to all established and budding producers out there to keep the faith and stay the course as drum and bass continues to barrel its way into the future. “Take It Up” from Wilkinson and Sub Focus is out now on Virgin EMI so stream/download your copy of this heater here.